Willie Fernie, the 1883 Open winner, designed this privately owned parkland course on 89 acres of the Nunfield Estate in 1912. He cleverly planned the layout in two loops of nine with the 9th and 18th holes finishing at the clubhouse, thus offering members the chance to play a quick nine holes on either the front or back nine holes if stuck for time. The course was opened the following year with an exhibition match where Percy Hills and Mr. J.M. Bowie played against Harry Fulford and James Bennett, the club professional. Many distinguished guests have followed them down the years, including Henry Cotton, Dai Rees, Peter Alliss, Max Faulkner, Walter Hagan, Fred Daly and Bobby Locke. During the Second World War, to aid the war effort, the course was closed and the fairways turned into wheat and potato fields. 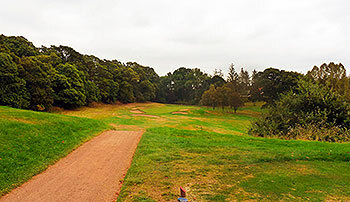 When hostilities were over and new land became available to extend the 8th, 11th and 12th holes, Philip Mackenzie Ross (the great post-war restoration man) reconstructed the course. Dumfries & County held its first major championship in 1958 with the British Youths Championship. 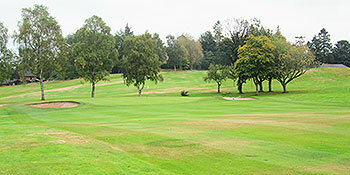 The Scottish Girls Championship was also staged at Nunfield in 1963 and 1968 and the British Senior Ladies Championship was played here in 2006. Three holes are worthy of mention: The 4th a 327-yard par four, named “Queensberry”, offers a fantastic view of the Nith valley from its elevated tee. The green – and they are all USGA standard here – has bunkers protecting it right and left with out of bounds to the back. The 7th, a 519-yard par five called “Burns Walk”, requires accuracy all the way to the pin as the fairway tapers into the green with out of bounds on the right. The 16th is a great 201-yard one-shotter called “The Rhodies” and it’s played to an elevated green and requires a solid tee shot that will carry all the way to avoid deep bunkers to the front of the putting surface. I warmed up for my round at D&C with a game at nearby Dumfries & Galloway, which has a decent front nine and a somewhat contrived back nine (especially the crazy par fours at 11 and 14). Expectations were higher for this place and it didn’t disappoint – but only for the first six holes, where the fairways are laid out on wildly undulating terrain, even if the back and forward routing of holes 2 to 5 is rather pedestrian. From the par five 7th hole onwards however, I gradually lost interest as many of the holes – despite being laid out on a pleasantly rolling landscape – were really rather ordinary, with most of the greens blandly contoured. The low point of the round was the 90-yard par three 14th, which was as poor a short hole as I’ve ever encountered. Sorry I can’t be more positive as I made a three hour round trip to play here (and I scored 34 Stableford points so I wasn’t playing that badly) but this type of prosaic parkland golf was not for me. Maybe I played in a subconscious bad mood as I was definitely irked by the tee sign at the 291-yard first hole which stated: “Attempting to drive the first green is strictly forbidden” (presumably for health & safety reasons because of the housing to the right of the fairway) – since when were golf clubs entitled to tell golfers what sort of the shot they can’t play at a particular hole? Played here in summer 2014 and was also frustrated by the 1st tee instructions; apparently there's a long-running dispute with a neighbouring house and so an 8 iron off the tee was the option but it's a nonsense. After I'd played the course I still couldn't recall much of it at all other than the uphill drive to a welcoming green situated the width of a path from the clubhouse windows. I agree about the 90 yard 14th played from mats. Not somewhere I'd go back to. The only real golfers course in the area is Southerness; I'd recommend that.